In the field of anti-poverty policies, the interplay between the Europe 2020 overarching strategy and the 'Semester' have marked major discontinuity vis-à-vis the Open Method of Coordination for social protection and social inclusion (Social OMC) of the Lisbon phase. 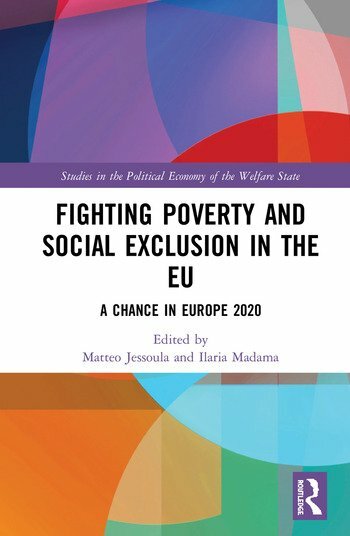 This book therefore asks whether and how Europe matters in the fight against poverty and social exclusion by assessing the emergence and possible institutionalisation of a European multi-level, multi-stakeholder and integrated policy arena in the new institutional framework. Supranational developments, multi-level interactions, as well as the strategy effects at the national level are analysed in six European countries - Belgium, Germany, Italy, Poland, UK and Sweden – with the aim to identify the key factors affecting the implementation of the Europe 2020 anti-poverty strategy. This book will be of key interest to students, scholars and practitioners in social policy, political science and European governance, and more broadly to European Union politics, European integrations studies, sociology and economics. .Ilaria Madama is Associate Professor of Political Science at the University of Milan in the Department of Social and Political Sciences. She is also Senior Researcher in the ERC-REScEU project, Coordinator of the EuVisions Observatory and Coordinator of the minor degree in Rights, Work and Equal Opportunities (DiLPO).